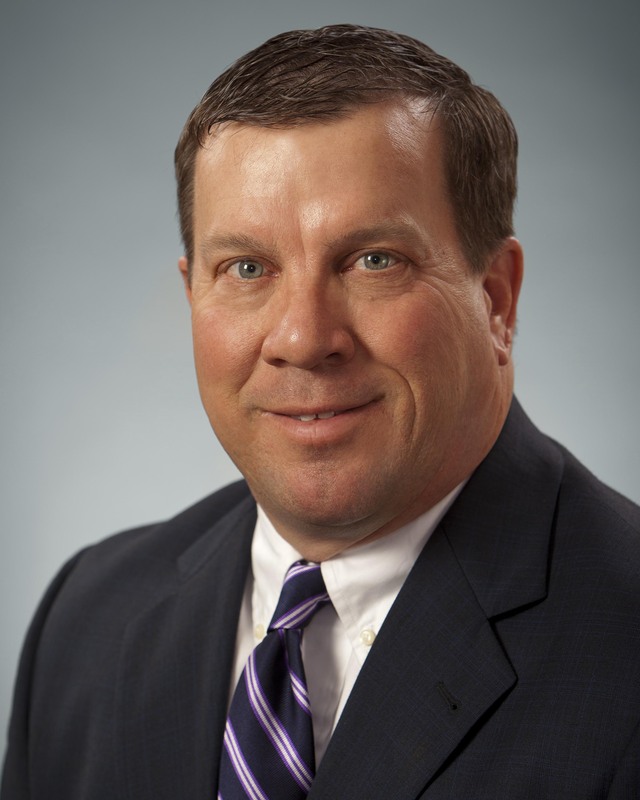 Evergreen Advisors is pleased to announce that Rick Kohr will be a panelist at the, “Maryland’s Cyber Battleground APG to Ft. Meade: The Regional Impact and Global Reach of the New Cyber Technology,” Corridor Inc. conference on September 22, featuring keynote speaker Dutch Ruppersberger, Ranking Member, House Select Committee on Intelligence. Along with working many cyber related businesses in the area, Rick also serves on the Howard County Cyber Commission. The commission advises Howard County Executive Ken Ulman to help maximize opportunities generated by the growth of cyber activity in the Baltimore-Washington region. Other panelists include high-level Security, Intelligence Business and Military officials including Mark Barnett, Director of Small Business Programs, NSA, Neal Ziring, Technical Director of Information Assurance Directorate, NSA, Bob Hannon, President & CEO, Anne Arundel EDC, Hart Rossman, VP & CTO Cyber Security Services & Solutions, SAIC, Bill Varner, President & COO Mission, Cyber and Technology Solutions, Mantech, Chris Foster, Business Development Executive, Raytheon, and Christian Johansson, Secretary, DBED. Panelists will outline the state of cybersecurity in Maryland, what lies ahead, and – most importantly – financial opportunities that exist for companies of all sizes. Special commentary will be provided by Aris Melissaratos, Special Advisor for Enterprise Development to the President of Johns Hopkins University. Evergreen Advisors is a leading investment banking and corporate advisory firm focused on assisting emerging growth and middle-market companies in the areas of Mergers and Acqusitions, Business Valuations, Advisory including corporate finance, growth and exit strategies, and CFO advisory services. GO FOR IT! Accelerate – NOW! I was talking to a friend the other day and she was telling me how tough the marketplace has been for her for too long. I shared with her my philosophy about the “pie” and what you need to do to get your fair slice. You see when times are tough the pie is smaller or to put it another way, your opportunities are fewer than when the tide is rising and there is plenty for everyone. But you still need to get your fair slice of the pie, a daunting task but one that you have to win-no excuses! Here are some ideas for you to consider and implement NOW. Say out loud, “THE ECONOMY STINKS”, OK do you feel better, now do something about it…….get the slice you want and leave the crumbs for your competitor. 1. Spend more time each evening and morning reviewing your game plan for the day. 2. Ask for referrals more often. If you did a great job taking care of the customer you’ve earned the right. With the advent of accounting (FASB 123R) and income tax (IRC 409A) guidelines regarding the valuation of equity-based compensation, it has become increasingly important for entrepreneurs to become familiar with complex equity securities and the valuation of equity-based compensation such as stock or option grants. This typically arises in the context of venture capital funding. Providers of early stage institutional funding provide growth capital for emerging companies and therefore, are interested in the return of the their capital (often called liquidation preference) but also participating in the “upside” or increase in equity value of the business, hence achieving a return commensurate with the risk involved. How does one seek out mentors? Is that enough? What does it take inside of us to be reflective enough to grow? I explored these questions with Mike Gill and came to better understand from a consummate mentor to many exactly what he means by “positive energy,” how we comport ourselves, and how we choose to learn from others. The Skinny. Mike Gill is CEO of Hoyt Capital, a small investment firm providing capital and business advice to start-up and existing enterprises and also serves on the Board of Advisors for Evergreen Advisors, a regional M&A and advisory firm. Together with regional industry leaders, government leaders and early-stage investors, Rick Kohr, CEO Evergreen Advisors, helped select the 2011 eleventh annual Maryland Incubator Company of the Year (ICOY) Awards. The winning companies were selected based on the organization’s goals and its success in achieving their objectives. Judges considered factors such as technology or product development; intellectual property; increase in employee numbers; growth in revenue or earnings; engagement of significant customers and strategic partners; attraction of outside investors; innovation; self-sufficiency; impact on the region; and usage of the incubator’s services. Over the past 10 years, Evergreen Advisors has served middle market investment banking clients through the Mid-Atlantic with the objective to assist clients in Realizing Their Destiny by understanding their needs and coming up with creative solutions to help them achieve their goals. Increasingly, clients have accessed the full landscape of advisory services. “From assisting clients with CFO services, business valuations, capital raises to growth and exit strategies, we are providing the full range of financial advisory services needed by companies throughout their life cycle, explains Drew Clark, Managing Partner and Chief Operating Officer. The length of Evergreen’s relationship with clients throughout different times provides compelling evidence of the commitment to forming a relationship with clients rather than just completing a transaction. The company has grown considerably over the years with an office outside of Baltimore, in Columbia Maryland, and is planning the opening of a new office in Northern Virginia this year. “We have invested very heavily in the last two or three years in our Board of Advisors, in people, and in marketing. We are coming off our best year ever and there is no reason it should not continue”, Rick Kohr, Founder and CEO. Beyond 2011, Evergreen Advisors will continue to expand its employee base and build upon well-established customer relationships and our core capabilities to maintain growth and expertise. Evergreen Advisors is proud to be sponsoring and attending The Columbia Foundation ‘s Spring Party on 05.05.11. The Columbia Foundation, Howard County’s community foundation, awards grants to Howard County nonprofit organizations delivering human service, cultural, educational and civic programs. Rick Kohr, Evergreen Advisors CEO serves on the board of trustees. Evergreen Advisors is a leading middle market investment bank and advisory firm focused on assisting companies in the areas of corporate finance, growth and exit strategies, business valuations and CFO advisory services. Newt Fowler: It’s About the People: A conversation with Frank Bonsal, Jr., Investor. Friends of Evergreen Newt Folwer and Frank Bonsal recently sat down for a conversation published in www.Citybizlist.com . Here is an excerpt of the article…. I enjoy talking with Frank Bonsal. He has invested in more companies and seen the launch of more technologies and new market sectors than I can fathom. And each time I see him, as much as I try to coax from him promising leads, he more subtly works me for what I know is going on. I always leave wondering who got the better end of the conversation. Spending time with Frank is like playing poker with that guy who always fumbles with his cards, keeps asking which hand trumps another, and yet ineffably either folds fast or wins a large pot… So we sat down recently over lunch to figure out how Frank succeeds in investing at the earliest and most volatile stage of business growth and what insight there might be for entrepreneurs seeking funding from such an archetypal angel investor. 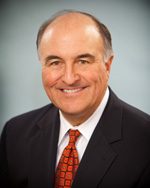 Evergreen Advisors CEO Rick Kohr appeared on Executive Leaders Radio on March 3, 2011. Rick shared the founding of Evergreen Advisors and that “it is fascinating because it’s not in many businesses that you get to sit down with someone and really know their passion, vision, dreams, concerns, financial statements…you get to work on their dream.” Executive Leaders Radio is dedicated to honoring individuals who have risen to leadership roles through hard work and dedication.